Creative discovery and Oxford Street Tube station do not usually come hand in hand. 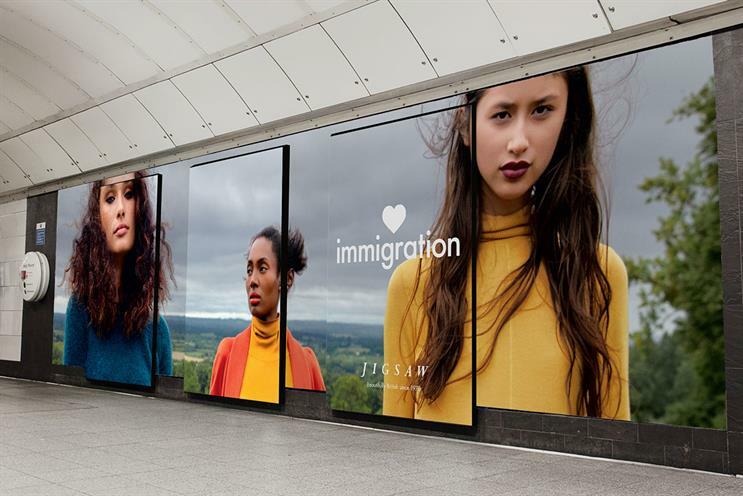 Yet fashion brand Jigsaw provided London commuters a break from the passive aggressive, eye-contact-avoidance of the Underground with its brilliant immigration campaign. Thought-provoking, inspiring, authentic and imminently shareable, Jigsaw’s campaign delivered more than just the shiny promise of the brand’s spring-summer range. The fashion brand's emotional message that fear, isolation and intolerance will hold us back and love, openness and collaboration will take us forward is pitch perfect and rooted in honesty and authenticity. As the ad states brilliantly, "As a clothing brand we couldn’t do what we do if people weren’t free to move around. Without immigration, we’d be selling potato sacks." British style has never been so appealing.